The cost of extending Edinburgh’s tram network to Newhaven has increased by 25% to reach more than £200 million. While initial tenders for the project estimated it would cost £165m, a final business case (FBC) now states it will be £207.3m, with the inclusion of a contingency fund. Councillors will get their first chance to examine the FBC in fine detail following the opening of a special data room in the City Chambers today. The final decision will be made by the full council on March 14. The FBC sets out the robust strategic, economic, financial, commercial and management case for lengthening the tram line by 2.8 miles (4.6km) from the city centre to Newhaven. The council said it can be built within a budget of £196m. But councillors will be asked to approve an overall budget of £207.3m to include a recommended 6% level of “optimism bias” to take account of an increased risk buffer for any problems encountered. In the first year of operation, the council predicts 16 million passengers will use the line. Council Leader Adam McVey said: “We need to invest in our capital city’s continued success and deal with the growth of our population in a sustainable way. Edinburgh has a fantastic public transport network but we need to extend tram to build on our first-class, fully-integrated transport system. As Scotland’s fastest growing city, things simply cannot continue as they are – the transport system must evolve to cater to a rapidly growing population. 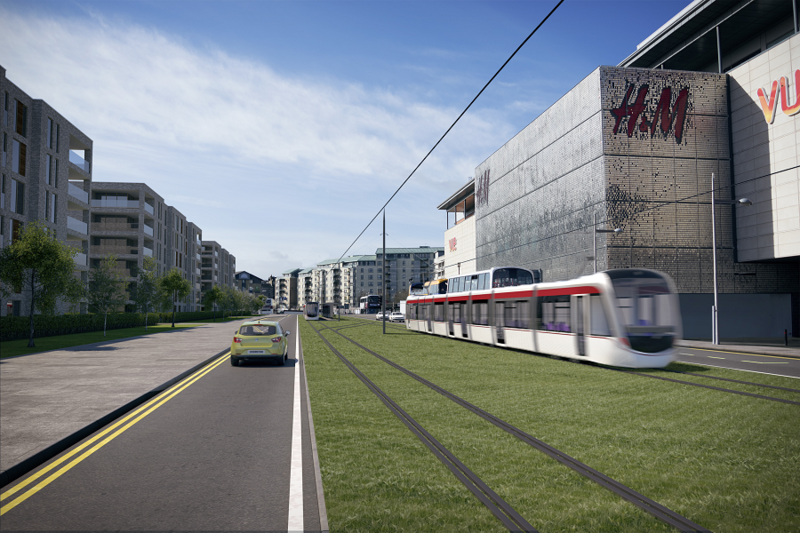 “The Final Business Case before us now is the result of a huge amount of work by the project team to produce a strong business case for taking trams to Newhaven which – crucially – does not divert funding from other council services. The original tram project came in at twice its original budget and the mistakes made on that scheme are subject to an ongoing public inquiry. The full final business case will be made public later this month as part of the agenda for the transport and environment committee’s February 28 meeting. If the extension is approved by councillors, the works should be completed by 2022 and operational in the first quarter of 2023.